Review by Neo: The First 7th Night is exactly the type of movie which you can be safe to call it cheap and efficient. In other words, it is something that works without lighting a fire or two. Director Herman Yau is one of the last remaining HK Horror/Thriller/Cat 3 genre directors who still attempts to deliver the HK favour. This film is by no means great, but with some above average acting, an adequate premise and Yau’s ability to maintain suspense throughout the flick, the film somehow works and that can only be a good thing. The movie goes like this: Gordon Lam plays a taxi driver who is at loggerhead with his life and when a mysterious truck driver (Julian Cheung) offers him a thousand dollars for taking him to an abandoned village. Lam promptly agrees and then the closer they get to the village the more about his past is revealed. Not a bad premise at all, considering that the opening sequence of events seemed like a horror/thriller, the film turned for the better and churned into the thriller and suspense genre. Why this film worked is the fact that Yau is able to use the “shows not tell” principle well enough to maintain a level of suspense for the audience to follow. The point is that it is rare for a thriller nowadays to have the ability to keep someone guessing and in the process capturing their attention, even if it is not the most interesting of flicks. It must be noted that Michelle Ye plays her best and most juicy movie role yet. It is a shame that Michelle Ye have never gotten the opportunity to display her potential, with roles after roles as someone either screaming or getting struck in crappy written roles within B-grade movies. Finally, Michelle Ye is given something to work with and the way and manner she oozes on screen is just a pleasant to watch. The most memorable scene is probably the seducing in the kitchen as well as the final few sequences (not to disclose any spoilers). This is most likely her most captivating display, since her TVB days. 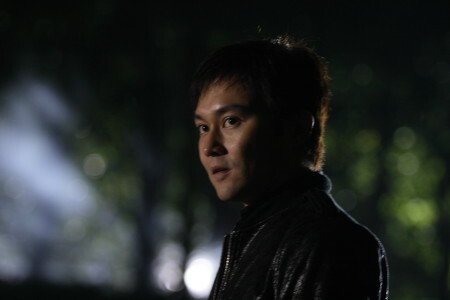 Gordon Lam handles the leading man barton quite well and there are moments in his performance that allows the movie and his character to connect to the audience. As usual, Julian Cheung is a real talent and I have always endorsed this and here he is efficient without standing out, but in retrospective, his performance is crucial as to why the film worked out effectively. Other supporting turns (including Eddie Cheung, Fung Hak On and Tony Ho) are all able to add something to the film rather than ruin it.